AHHHH! 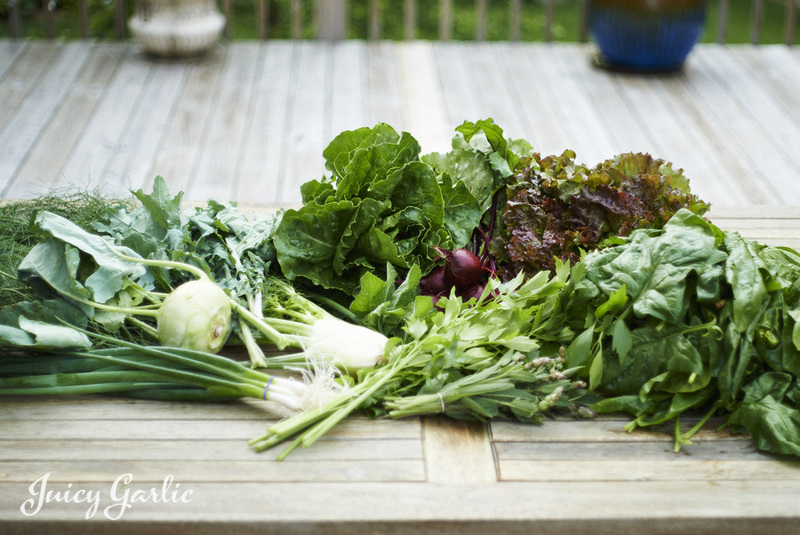 It’s Thursday night again, and we just took our third summer CSA delivery of the season. We were also notified that our CSA will be skipping the July 3 delivery and tacking that delivery on to the end of the season (late October). I’m so COOL with that, as the fall items will store long into November. While these boxes are pretty light right now, they’re still piling up in our fridge. Thank goodness last week’s lettuce is still as fresh and tender today as it was last week. …It’s all about good storage habits. Since we weren’t going to have a July 3 delivery, I stocked up on some essentials to carry us over until our July 10 delivery. 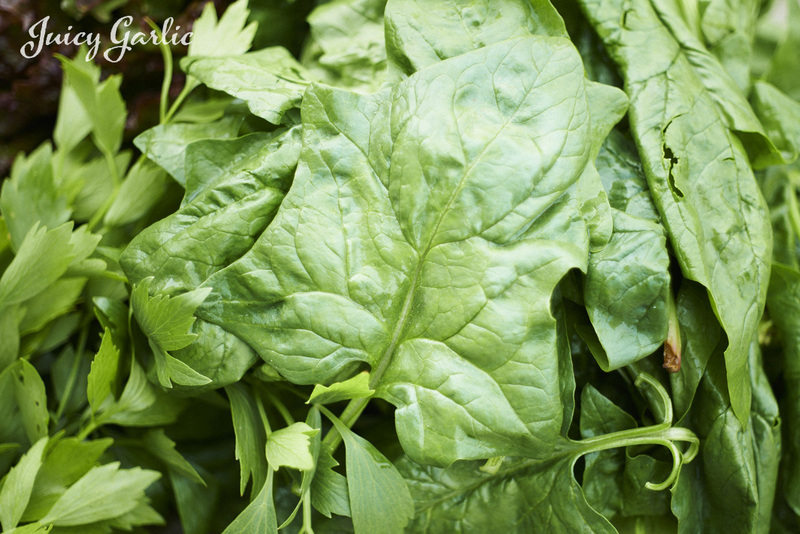 The extra spinach from last week’s delivery as well as this week’s delivery will be pureed into my kiddo’s organic yogurt bowls with organic bananas and organic frozen strawberries. It’s a great way to make sure he’s eating his greens. 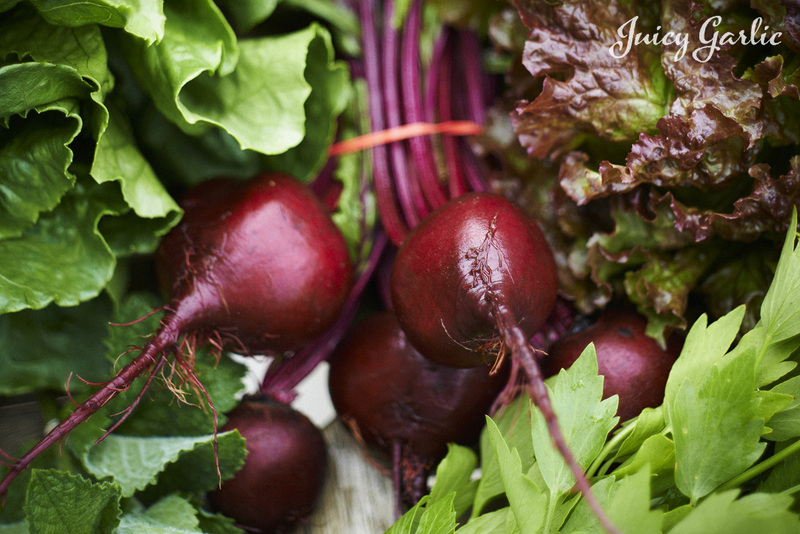 The beets in this week’s share are such a deep rich color. The first time I had them was last year, and they were amazing. …and I’m not a beet eater. Better yet, the greens are delicious in a pasta stir fry (recipe below). 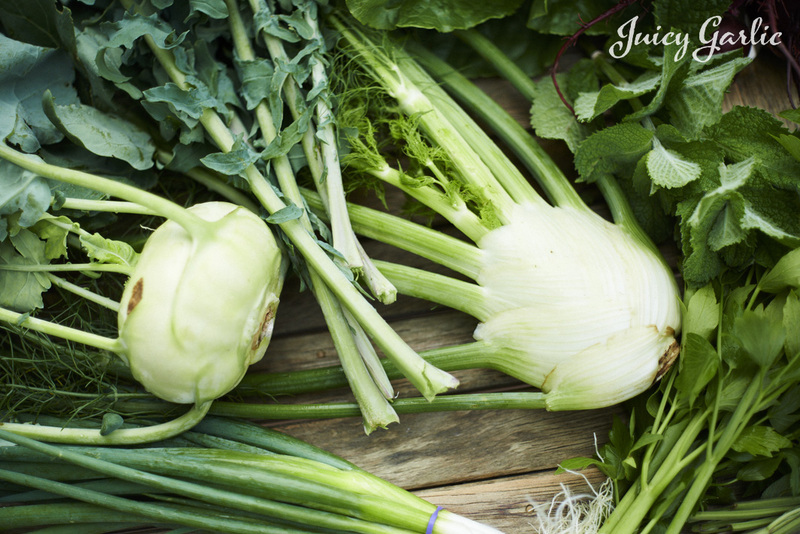 The most wonderful item in this week’s share is the fennel bulb. 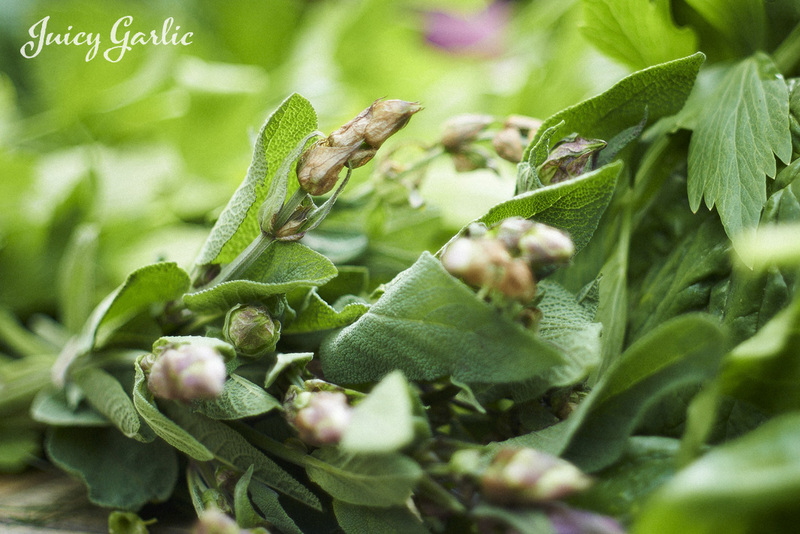 When I cut the green tops off for storage, the licorice aromatics that filled the kitchen were wonderful. My wife could smell it from 10 ft away, “What did you just cut? That smells like licorice”. Can’t wait to slice a little up in my farmer’s salad today. 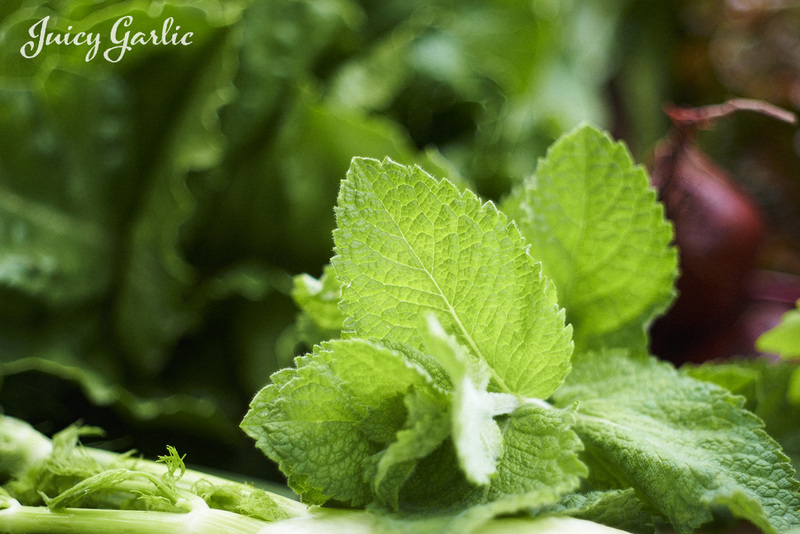 Check out these velvety mint leaves – click on the photo for a closer look. 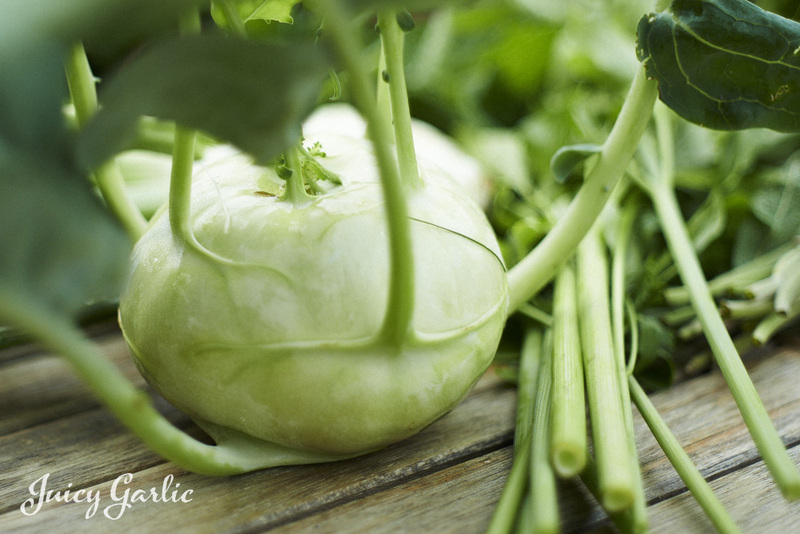 A big juicy wildly fresh Kohlrabi – An ode to Milwaukee’s German ancestry. Those are hollow Lovage stalks to the right. 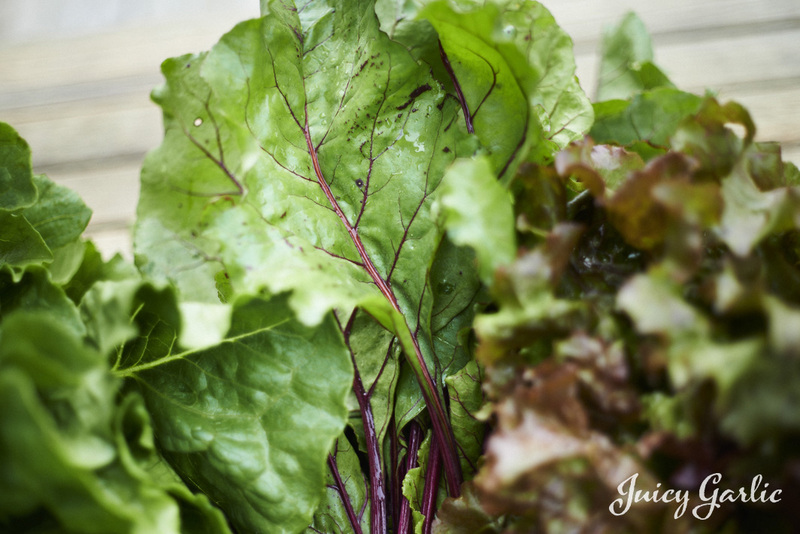 Here are the deep red beets with their delicious stems and greens. And this is Lovage. 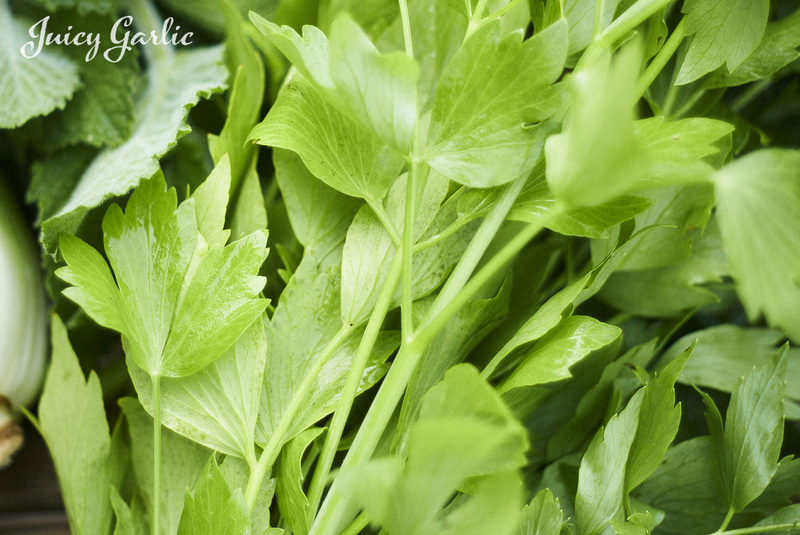 It looks a LOT like Italian parsley, but it has a strong celeryesque flavor. The stalks and leaves are both edible. I use the leaves in salads, and mince up the stalks for cooking in place of celery. If you like bloody marys, use the hollow stalk as a straw. And here are those fabulous farm fresh free range eggs. These are the X-Large – and they’re HUGE! Another thing I love about the CSA is how much we recycle containers. This is a Roundy’s egg container. When we’re done using these egg containers, we return them to the farmer so they can reuse them for future egg orders. Some CSA farms, like Pinehold Gardens have multi-colored eggs: brown, white, yellow, and blue. …Never seen a blue egg until I picked up a dozen from Pinehold Gardens last winter. 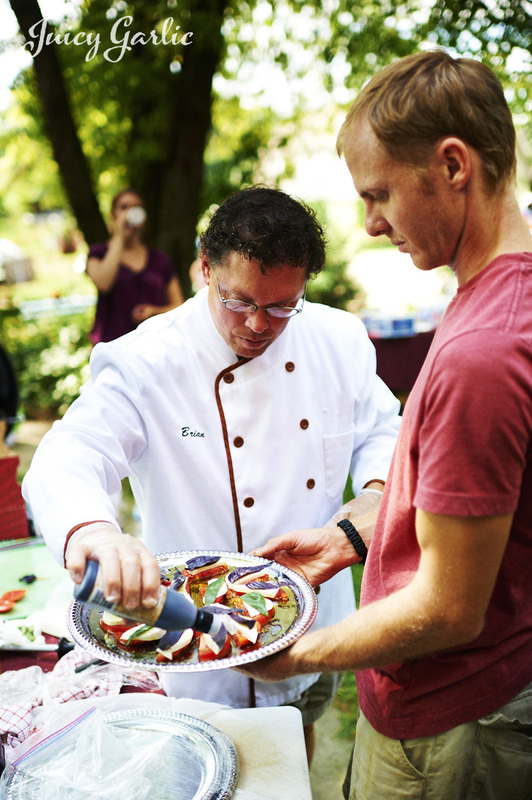 – just good food from fresh ingredients”. We’ve been living this philosophy every since we joined our CSA. LOVE IT! So. What did I make last night from our CSA pull? 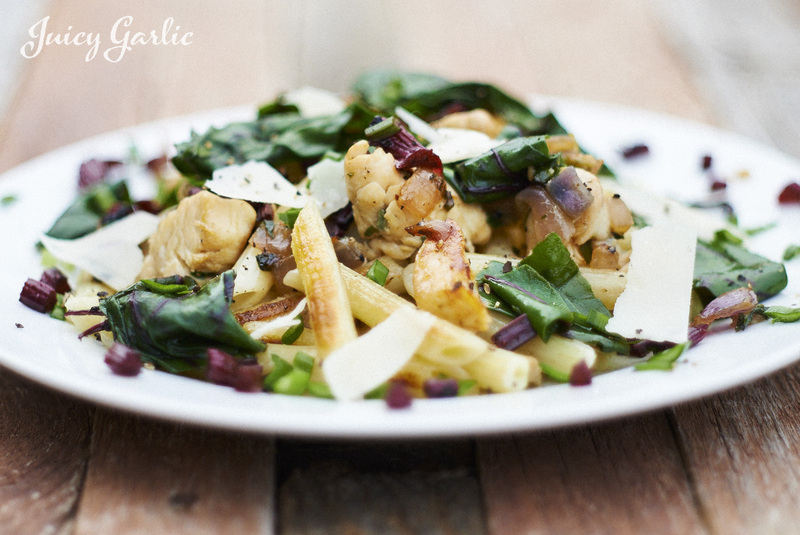 Sauteéd pasta with beet greens. Again, I keep my Thursday cooking super easy because we usually don’t get a chance to sit down to eat until 8 PM, and it was no different last night. There is nothing fancy or complicated here. I think Julia would smile. • Leftover Cooked Pasta from the night before, otherwise it’s too starchy to sauté. Sauté the onion in olive oil over medium heat until it begins to soften – season with a small pinch of salt and pepper. Add the cubed chicken breast, give it another drizzle of olive oil. When the chicken turns color, add the minced lovage stalks, sage and most of the garlic chives (not all of it). Reduce the heat, and let the chicken cook through – don’t burn the herbs. When the chicken is done, set aside. In the same skillet, add a bit more olive oil and sauté the beet stems until they begin to soften a bit. Season with a tiny pinch of salt and pepper. Set aside when they’re done. Still using the same skillet, gently sauté the beet greens until they’re just beginning to wilt, and remove the skillet.Might need to add another touch of olive oil. Add more olive oil and throw in the pasta and cook until it’s warmed and starts to brown. Add the cooked chicken, herbs, and beet greens. Toss, plate, top with shaved parm, another twist of fresh cracked black pepper and serve hot. Garnish with beet stems and remaining garlic chives. 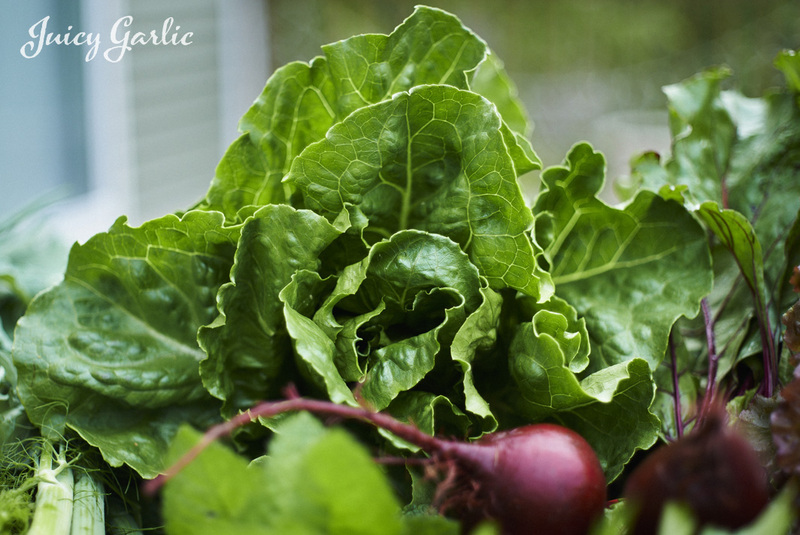 If you don’t have beet greens, use whatever dark leafy green veggies you can find at the Farmer’s Market, or whatever you can find that’s organic in your local grocery store – hopefully it’ll be locally grown. If you’re a vegetarian or vegan, skip the chicken and cheese. Substitute whatever fresh herbs you want. I used Sage because it pairs so well with poultry. The vibrant flavors of Lovage, Sage and Garlic Chives gave it a nice balance to the earthy flavor of the beet greens and stems. Thanks for reading – and please leave a comment. This was originally a test post as I learned how to use WordPress.com and started building this blog from scratch – I needed something to look at while I was picking through all the templates. Don’t be shocked if it changes sometime down the road. While technically this was my first post, it feels like my third as I’m going to re-write it after I wrote my second. Huh?!? …I’ve been pondering what I should write for the past few days, as I finished up processing last weekend’s wedding. Meh! Why not go with the obvious? 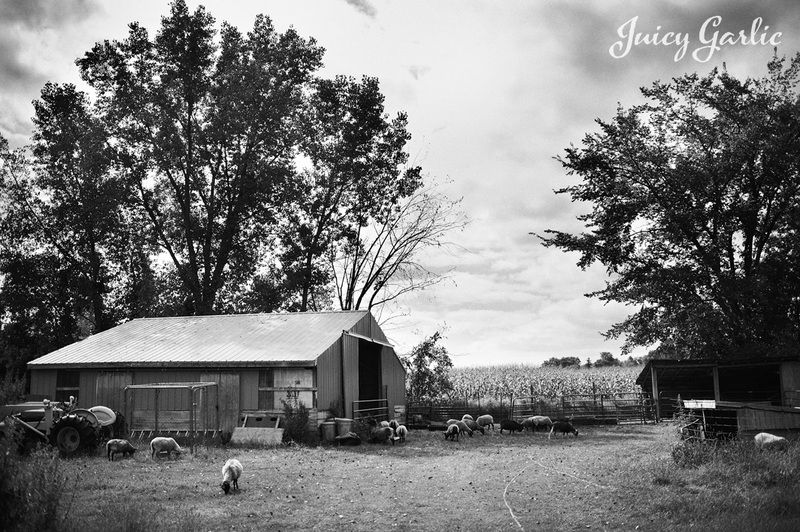 Since my blog is about Local, Sustainable, Farm Fresh Food, and it’s a photographic journey, why not start with what inspired me to start this blog – my CSA. After jumping into the CSA thingy last year, I’m officially a HUGE advocate of this organically grown and locally delivered gift. 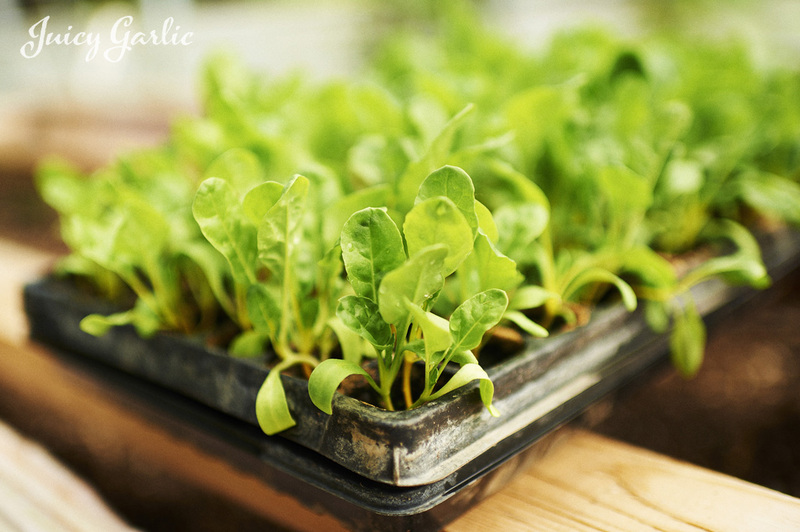 The food is incredibly fresh, therefore it’s also incredibly nutritious. Some of the food we had delivered last night was picked from the fields and hoop house that same morning. The rest was picked the day before. Does it get any more fresh than that? Well….yes. 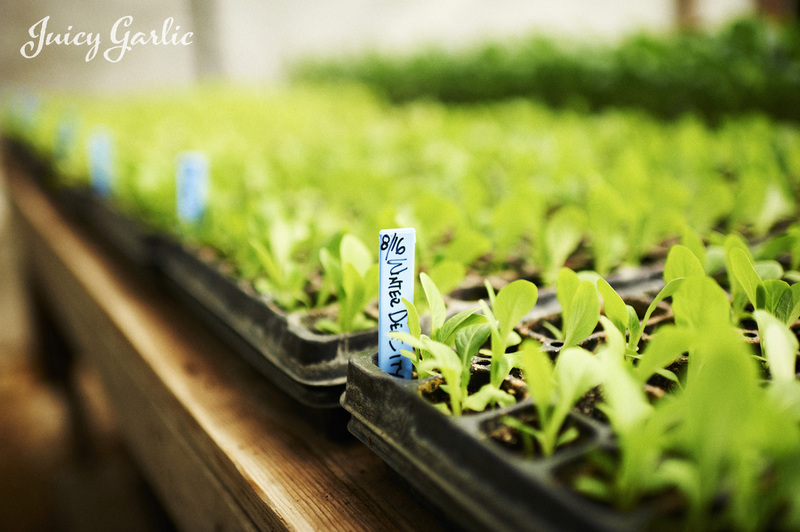 If you grow your own – which I do have a small garden. But there is no way I can get this kind of variety grown in my garden. 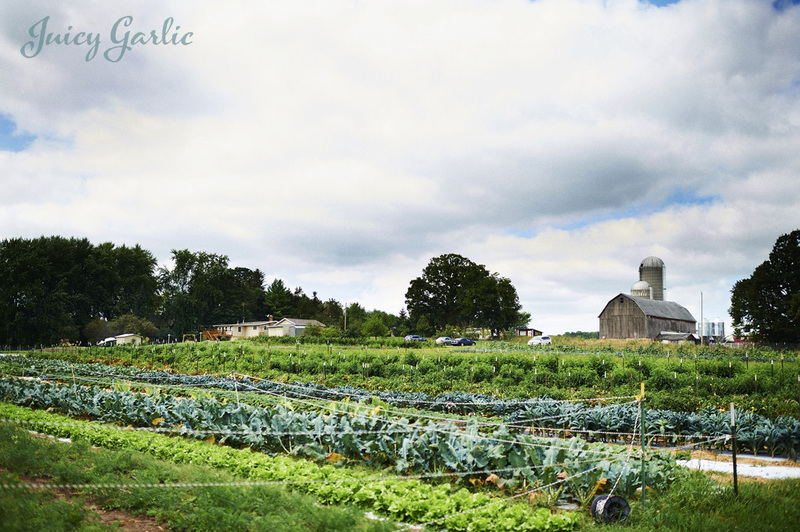 The photo below (taken last summer) is a great example of the variety we get from our CSA, HighCross Farm. 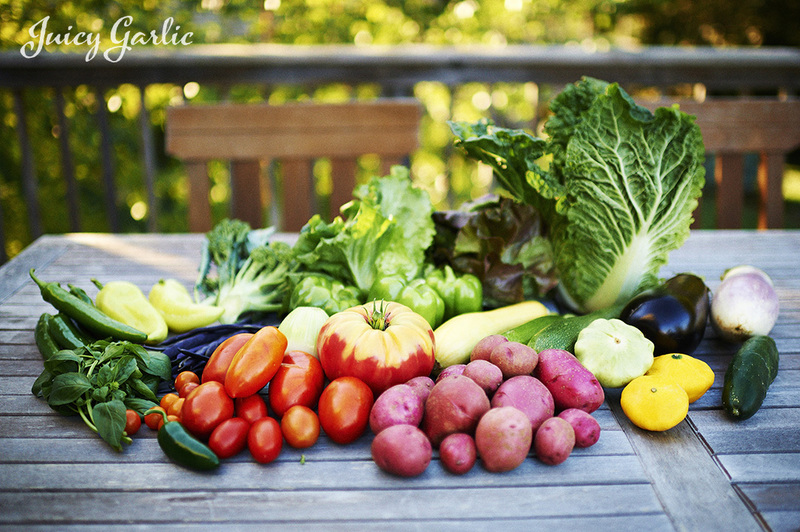 I think about the size of the garden it would take just to grow the produce that was delivered in the photo below. We’d need a garden at least five times our current size. It would likely have to be larger if we wanted it to produce weekly, for a family of four, from early June through the end of October – and maybe into early November. In the photo above there are Roma tomatoes, a giant heirloom tomato (no idea, I’ve never seen this kind of coloring before), cherry tomatoes, red norland potatoes, summer squash (patty pan, yellow and zucchini), eggplant (purple and rosa bianca), jalapeños, green peppers, yellow Hungarian peppers, red oak leaf lettuce, napa cabbage, some long green salsa chiles, purple pole beans, broccoli, fresh basil, and a few cukes. Holy cow, that’s a HAUL. If you read the post CSA Delivery: June 12, 2014, you’ll notice it’s much heavier than the first delivery of the year. Those norland red potatoes are SO SO good. Cube ’em up, boil until tender, add butter and sprinkle of salt and black pepper. So simple. So good. 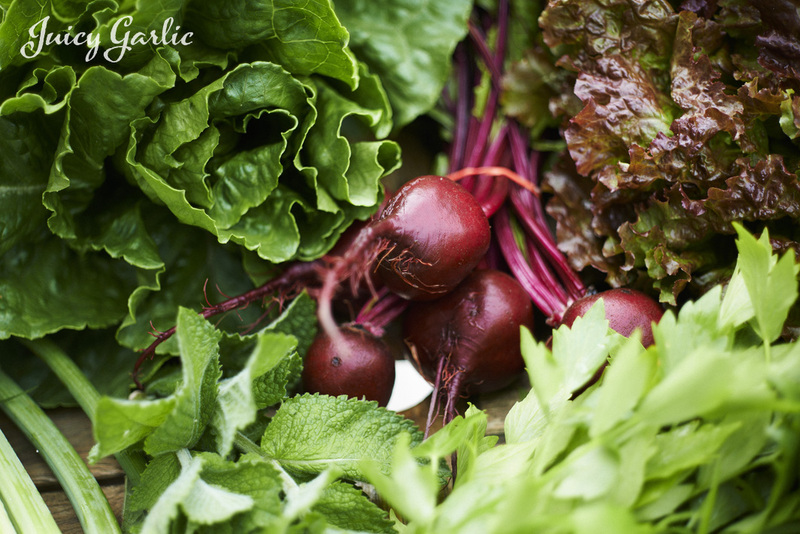 One of the big reasons we joined this particular CSA was the option to buy their Spring Share – two deliveries in May, and their winter share – three heavy deliveries from mid-November through late December. The fact they delivered 3 miles from our house as was fabulous perk. We also liked their online store where you can buy farm fresh eggs right from their personal henhouse. 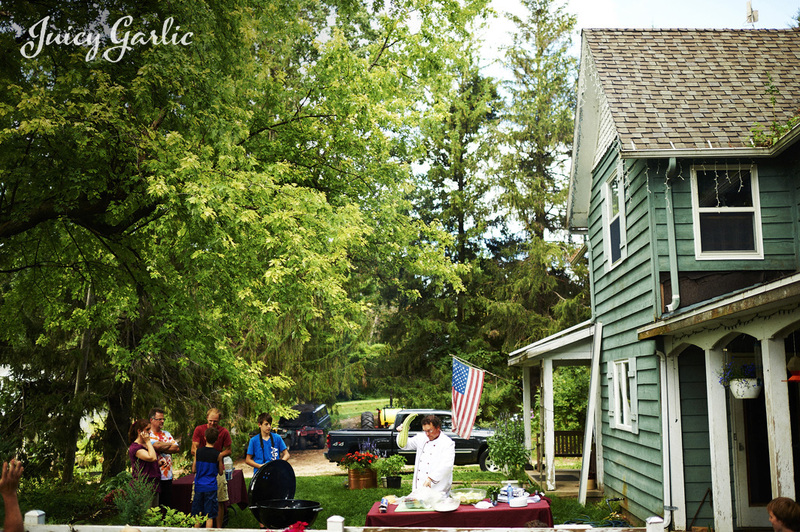 The chickens are free roaming and get to bugs and organic veggies from the farm. The yolks are unbelievably creamy and colorful – such a bright deep orange. Not that sick pale yellow you get from grocery store. 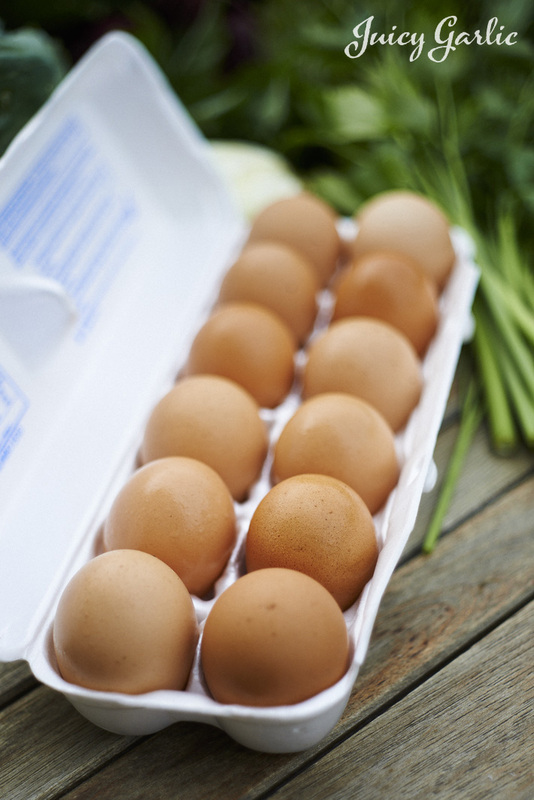 Even the cage-free organic eggs don’t compare to those plucked and delivered directly from an organic farm. As fall hit, I started stocking up on winter squash – we had delicata and hearts of gold squash all the way into March. I can honestly say, I never got sick of it. …and I used to HATE winter squash when I was growing up. Not surprisingly, my Jonas isn’t a fan – yet. A few other perks for why we chose HighCross Farm. 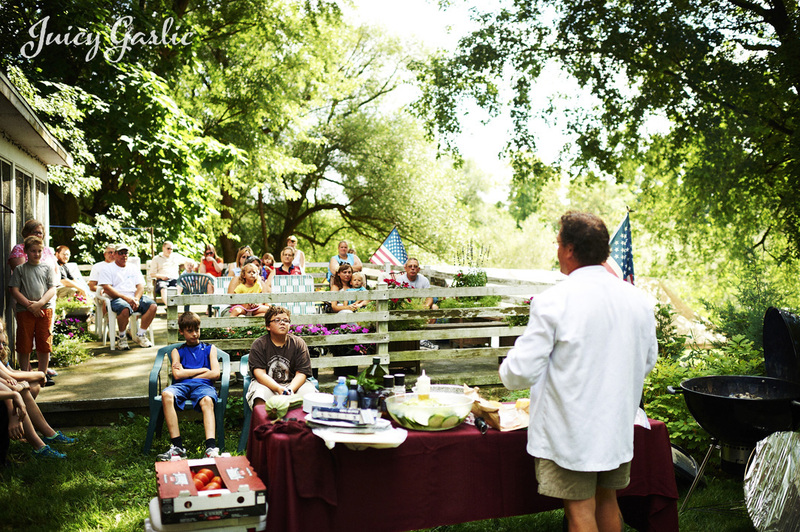 They have host a family day twice a year, and invite their CSA members out to the farm to tour the farm, take a hayride, meet the animals, meet the staff, watch a cooking demonstration by their resident chef, and enjoy a potluck dinner to finish the night. Here’s a few pics from last year’s event. Please note, we never made it to the dinner. Jonas started getting a little cranky after a LONG warm afternoon. 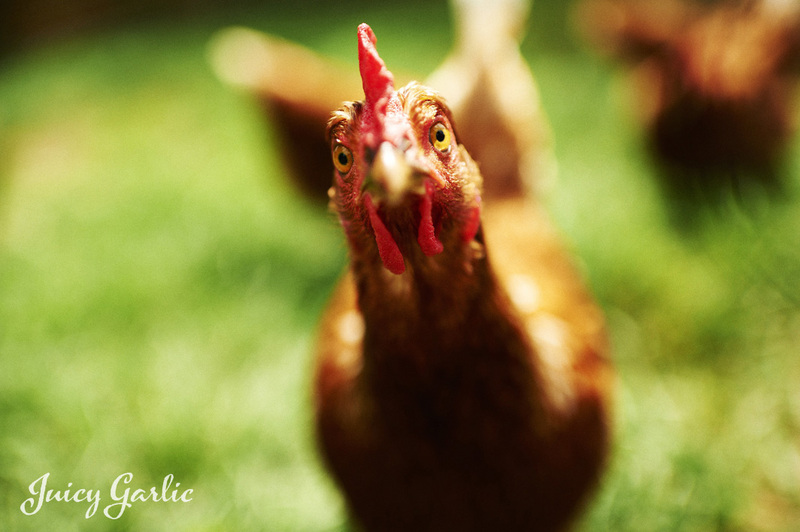 I can’t even begin to explain how difficult it is to capture the eyes of a chicken in perfect focus with a 35mm f/1.4 lens…@ f/1.4. I will be the first to admit this capture had a LOT to do good luck. But, as Edna Mode suggests, “Luck fa-vuhs da’ pruhpared”. 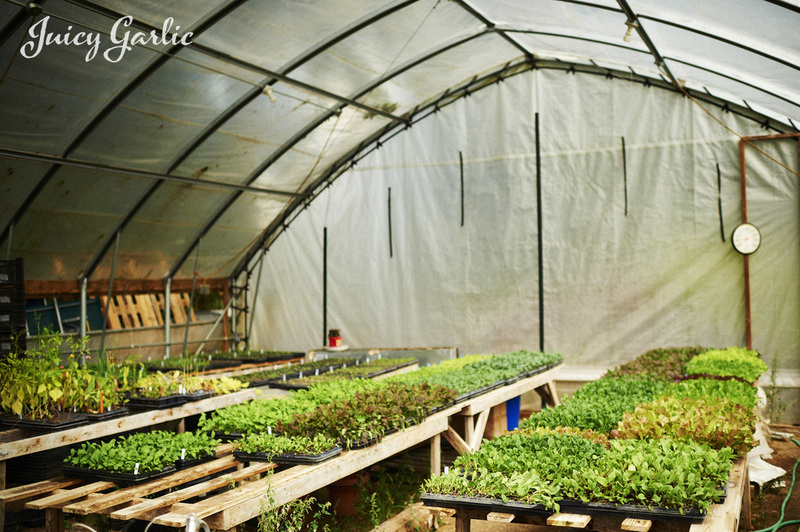 A hoop house full of seedlings getting ready to be transplanted into their fields. 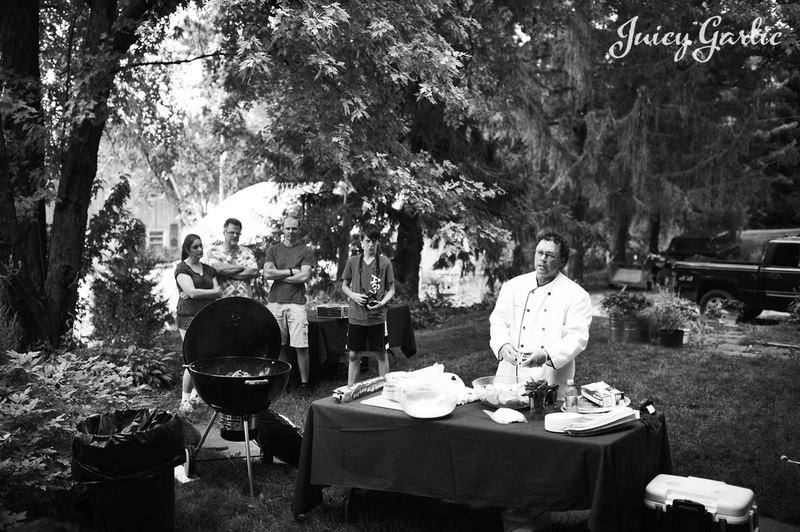 Chef Bernie doing a cooking demonstration. Man, that grilled giant zucchini was incredible…. ….as was this Caprese Salad snacketizer. Tomato slice, fresh mozza, a basil leaf, and a squeeze of balsamic vinegar reduction. 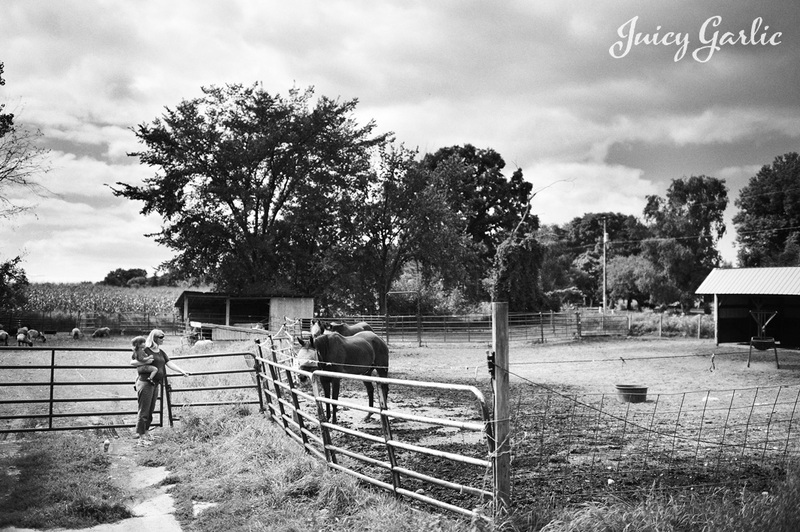 So that’s a little photo tour of HighCross Farm during family day. If you’re in the Milwaukee area, and you’re on the fence about joining a CSA, or even which one to try, I can’t recommend HighCross Farm enough. Check out their website, shoot them an email, ask them questions – and tell them Craig sent ya’.